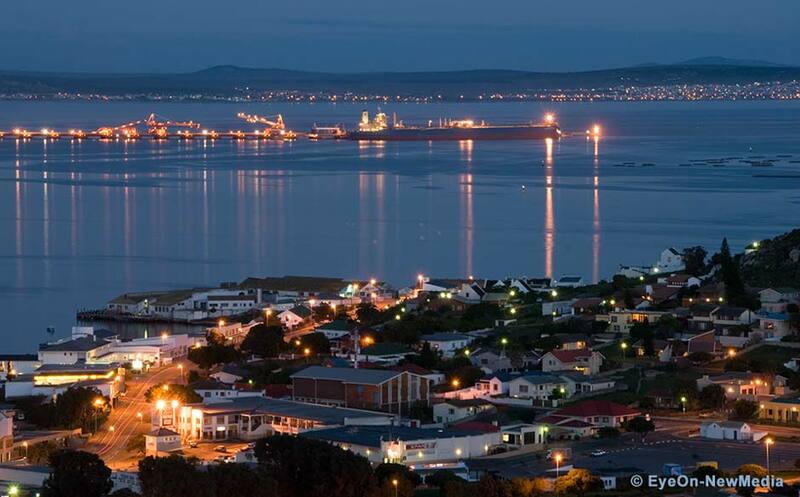 SALDANHA BAY — After years of talk, the port at Saldanha Bay is set finally to benefit from investment that will allow SA to participate and contribute more meaningfully in the oil and gas sector. The Transnet National Ports Authority (TNPA) on Monday announced infrastructure projects valued at R9.65bn at Saldanha Bay to improve its ability to serve the offshore oil and gas industry. The projects are seen as long-term and unlikely to be affected by the tapering-off in new oil exploration brought about by the recent dramatic drop in the oil price, which has put a question mark over some oil and gas projects. Saldanha Bay port manager Willem Roux stressed the importance of the TNPA seizing the opportunity to serve the oil rigs operating on the west and east coasts of Africa. For the first time, the TNPA will invite private-sector participation in the projects, which will include the construction of a new rig repair quay, 380m long and 21m deep, to serve modern rigs, which require extra depth. The quay will be able to serve two rigs simultaneously. The Mossgas quay will be lengthened from 38m to 500m, with a depth of 8.5m, to accommodate floating docks, which will enable the industry to build new service vessels to support the offshore oil and gas industry. The cost price includes obtaining specialised equipment. An offshore supply base will be built to serve as a one-stop shop to supply oil rigs with their basic needs, such as food and materials, and waste collection. Mr Roux said the time frames for the projects had been expedited ahead of the TNPA’s own port development plans in order to align with those of Operation Phakisa, which President Jacob Zuma announced last year. The aim of the project is to clear infrastructure bottlenecks that constrain economic growth. Mr Roux said the TNPA hoped to have a successful private-sector bidder for the projects — possibly on a build, own, operate and transfer basis — by September, and for the three projects to be commissioned by December 2017. The offshore supply base would be completed much sooner. “We believe this is an ideal business opportunity to get the private sector involved. It is anticipated that fleet rig and support vessel owners will be potential bidders,” Mr Roux said. However, TNPA CEO Tau Morwe believed there was not much private-sector appetite for port investments at present, which could delay their finalisation. For example, the private sector had shown no interest in a tender for floating docks at Saldanha Bay. Mr Roux stressed that the TNPA would be closely involved in the design, location and planning of the projects, and with the environmental impact assessments. The projects will create an estimated 6,300 new direct jobs and 25,200 new indirect jobs, and contribute an estimated R4.74bn to gross domestic product. The 330ha Saldanha Bay industrial development zone was designated in 2013 as a zone dedicated to serving the oil and gas industry. It has attracted strong interest, mainly from fabricators. Zone business development executive Laura Peinke said its growth potential would be constrained if the port could not berth modern oil rigs with a deep draft. At present, it can service them only from a barge in the bay. South African Oil & Gas Alliance CEO Ebrahim Takolia stressed the long-term nature of such infrastructure investments, which were not subject to the temporary vagaries of the oil price.